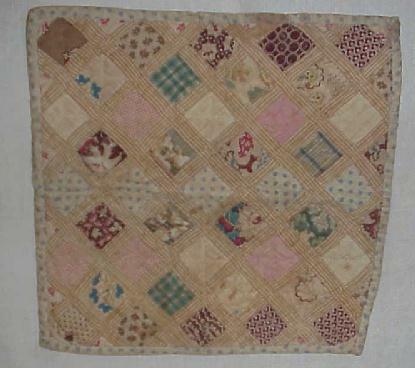 Wonderful early quilt with early calico patches. All hand quilted ~ binding around edge is tiny blue stars. 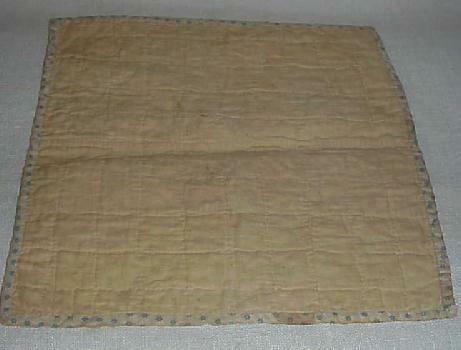 There are three calico patches that have wear where you can see the old cotton stuffing. Measures, 10 ¼” x 10 3/8”. Lancaster Co. Pa. comes with old age brown in a few areas. This is all expected for a nice authentic textiles of this sort. This is the way it was found, early and right.